I’m lucky in that I have my husband, who has been my biggest supporter and fan throughout all my endeavors. I don’t like to get overly mushy, but Greg’s definitely my soulmate. He gets me, and occasionally knows more about me than I do about myself. I am absolutely a lucky girl to have such a person in my life. That being said, Greg and I have always agreed that me and my lifting/CrossFitting is separate from his exercise regime. So, while I’m truly fortunate to have him, I’m even more lucky to have more than one “swolemate” or training partner at my gym. Finding one swolemate isn’t easy, and having a whole team of them is something that has certainly taken a lot of time. 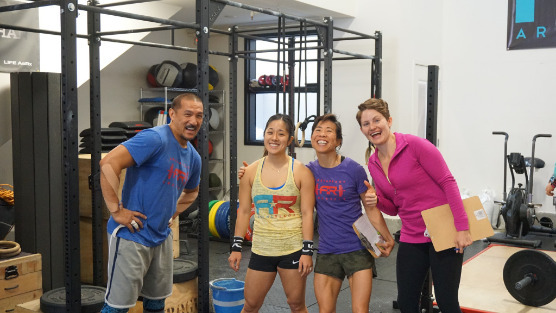 But I rely on each and everyone of my swolemates to get me through my training. If I were to do a breakdown of where I spend the most time that isn’t my office, it’s at the gym. I’m a creature of habit too, and most of us crazies who workout at 6AM are just as passionate about making sure exercise is a priority as I am (because let’s be honest…waking up to lift heavy things requires some serious dedication). The most awesome part about having more than one swolemate is that each person gives me inspiration or motivation in different ways. And just to be clear, I have both girl and guy swolemates. 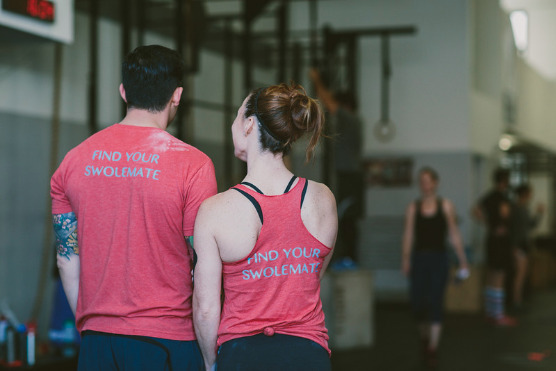 So to capture the reasons why having a swolemate at the gym is better than suffering solo, I thought I’d put together a few reasons why having a swolemate makes exercise much more palatable and fun! The Tabata interval is 20 seconds of work followed by 10 seconds of rest, and is repeated eight times (over the course of four minutes). Your score is the lowest rep count among the eight intervals. This workout lasts 19 total minutes, including the 3 rest/transition minutes.